Prime Minister Joseph Muscat said on Sunday that the introduction of a plastic bottle return scheme would help improve the environment and people’s health. Speaking during a political activity, Dr Muscat reminisced about the system of old, where people used to pay a refundable 2c deposit on glass bottles. He said the reintroduction of such a system for plastic bottles would help undo the massive damage being done by plastic in Malta. Turning to the Budget, which will be presented on Monday, Dr Muscat said Budget day under PN governments used to be greeted with a sense of foreboding. Instead of wondering what would be taken from them, people were now wondering what the government would be giving back to them, he said. He said the departure point when Labour first swept to power in 2013 had been a situation where the government spending deficit had exploded, and civil servants were advising that taxes had to be increased. Dr Muscat said Labour had a 10-year plan to transform the country which had been known since day one. The Prime Minister acknowledged that some people may feel like that had not yet received their dues. He assured his listeners that the Budget would seek to help everyone. Dr Muscat said the government was creating a new middle class, where people could plan and look to the future with optimism. People who had been stuck on the minimum wage for a number of years already knew before Budget day that they would be receiving increases, he said. Dr Muscat said that just like the government had reached a sectoral agreement with the police, similar agreements could be reached with the army and civil protection service. This could be done as the economy was strong and people knew where the country was heading, he said. The Prime Minister said the government would be sending a signal in the Budget about how people’s safety was being prioritised. Dr Muscat said he wanted people to feel safe in their homes and on the street. He said this was not about skin colour or nationality, but about obeying the law. On a White Paper about rent reform published this week, Dr Muscat appealed to stakeholders to give precise details on what they thought about the proposals. The reforms include proposals to introduce minimum lease periods, with prices remaining at the landlords’ discretion. 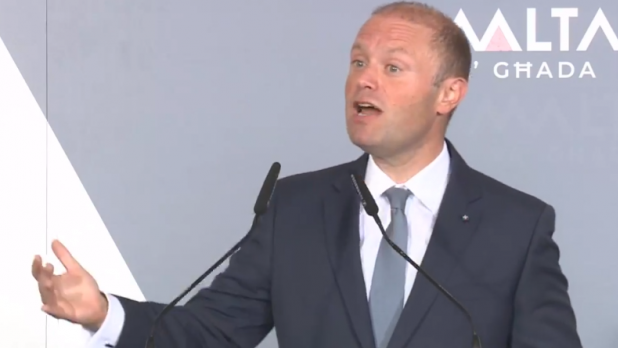 Dr Muscat said the government sought to offer certainty, whilst striking a balance between landlords and tenants.